Do banks need IT expertise at the board level? Technology is the most important agent of change today; hardly any industry is immune to both its value-creating and disruptive potential. However, in an April 2011 survey of corporate directors by McKinsey Quarterly, more than half said their boards had only one technology-related discussion a year, or none at all. Since then, the situation has not improved much, notes Antony Bream, UK managing director at Crealogix. Companies across all industries are vulnerable to technology-fueled disruption. Few expected Apple to disrupt the music industry with the iPod and iTunes, communication with the iPhone, and now edging closer to disrupting consumer banking with ApplePay. Amazon has dramatically impacted not just book shops but shopping, and Google is now a verb. In 2012, an IT disruption that lasted days affected 6.5 million customers landed RBS, Natwest and Ulster Bank with a £56 million fine from regulators. And once again in June 2015, payments outage at RBS affected 600,000 credit and direct-debit transactions. Banks rely on hugely complex and enormously expensive technology. And many of the biggest challenges banks now face are intimately connected with IT, so directors should have a robust understanding of technology if they are to make informed decisions. But despite advances in infrastructure robustness, many traditional financial institutions still face database, hardware, and software downtime, lasting short periods to days on end. The long-term effect of a damaged reputation would impact their revenue and profitability greater than the immediate losses incurred. Even as banks are relying more on technology to come up with innovative business models and fresh products for fending off competition from FinTech startups, many bank’s boards of directors don’t understand enough about technology to keep up, and insufficient attention has paid to technology at that level. Boards are long-established institutions with norms and conventions that date back to the days of the 13 colonies. 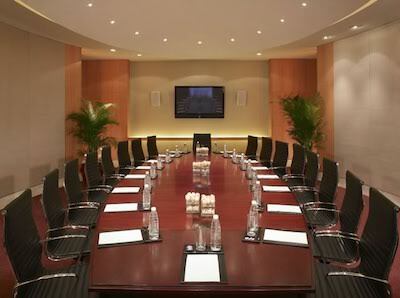 The prime duty of a board is to oversee what the executives are doing on behalf of the stockholders. And directors are not interested to compare Amazon’s cloud to Google’s – they want to know whether they should use cloud computing to create a more valuable organisation. And some may argue that boards should be more concerned with executive compensation, legal exposure, CEO succession planning and financial issues, not technology capabilities. But a board that holds a narrow or defensive view of technology leaves the company vulnerable to competition, and an undereducated board can stifle innovation. Banks need to change boardroom culture through a combination of deep technology expertise and a much-improved understanding of the impact of technology among other board members, in order to help set the trajectory and monitor progress. Since technology is becoming increasingly important to corporate strategy, and boards now have a crucial role to play as trusted advisors. Getting the board of directors to engage on technology issues could offer significant value and helps to ensure that executives address the right challenges and mitigate the risk of the bank’s system failure. Boards of financial institutions could embark on regular programs of personalised coaching to help improve the technology acumen of all directors so they are better equipped to make informed decisions. And since it’s common for boards to bring in lawyers or investment bankers for expertise, there is no reason why they can’t bring in the expertise of technology consultants. By setting up board-level technology committees, similar to risk and audit committees, additional expertise and advisory to the board on major technology decisions would create structures that strengthen the technology capabilities of the organisation. Executive directors are usually selected for their leadership qualities; they often have experience with generalised management or leadership experience rather than narrow expertise or technical acumen. Technology expertise in this case, should be no exception.